The sciatic nerve is the largest nerve in the body, beginning in the lower back and extending through the buttocks down to each leg. Sciatica occurs when there is irritation of the sciatic nerve, causing pain in the lower back that can radiate down one leg. Since sciatica typically affects only one side of the body, the lower back pain on the left side of your body may be caused by sciatica. Visit your local FastMed Urgent Care to discuss symptoms and potential conditions with an experienced medical professional. What if my lower back left side pain isn’t caused by sciatica? Seek the advice of a medical professional at FastMed Urgent Care for your lower back, left-side pain. Although sciatica is a very common cause of this type of pain, there are numerous other potential causes. It’s important to discuss your medical history and symptoms in order to receive a proper diagnosis that will get you on the road to recovery. 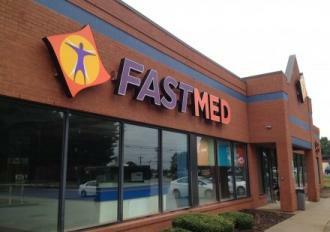 FastMed Urgent Care is a convenient and affordable solution for all of your basic healthcare needs. We maintain extended business hours and are open seven days a week. No appointment is necessary to see a medical professional, so pop in to your local FastMed Urgent Care or check in online for an even faster wait time.